Sunrise wires are simply the best floral wire in the world. Recommended by floral artists worlwide, you simply can not get better. 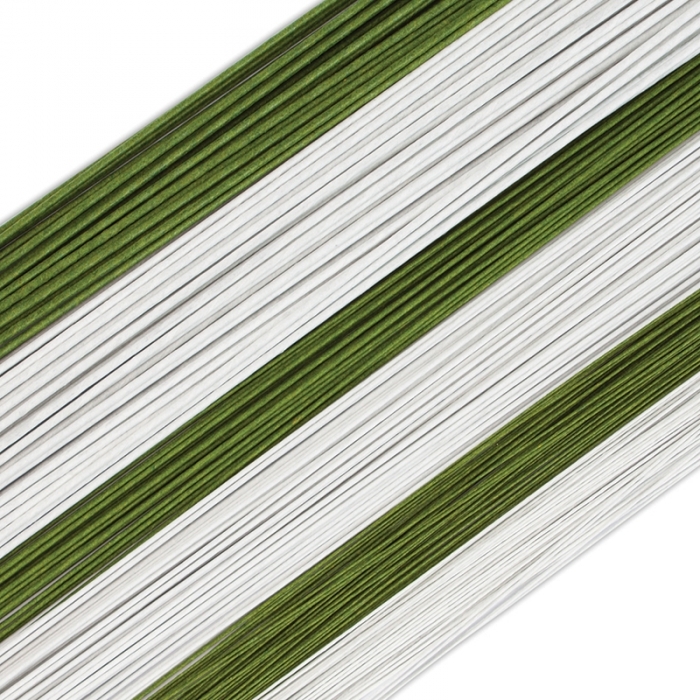 Floral Wire - 20 Gauge - GREEN. Floral wire is paper covered, approximately 14 inches long. They're used to make gumpaste flowers and leaves. 25 wires per package. These wires are made in Japan and are premium quality florist wires, they do not unravel and perform exceedingly well under many conditions.